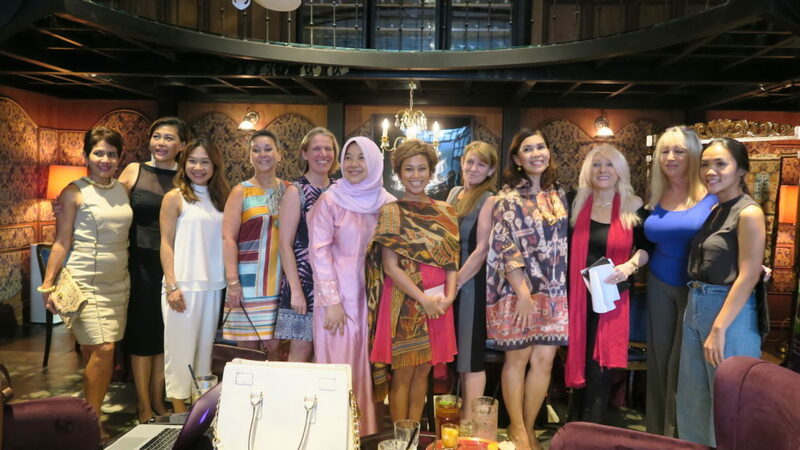 This afternoon, Sofia At The Gunawarman holds the “East Meets West” Merdeka High Tea for Charity event to support Taman Bacaan Pelangi. The event is so lovely. Being a fancy restaurant, Sofia looks even more elegant with table setting and tableware by Ghea Panggabean, a famous Indonesian designer that is also supporting this afternoon tea. 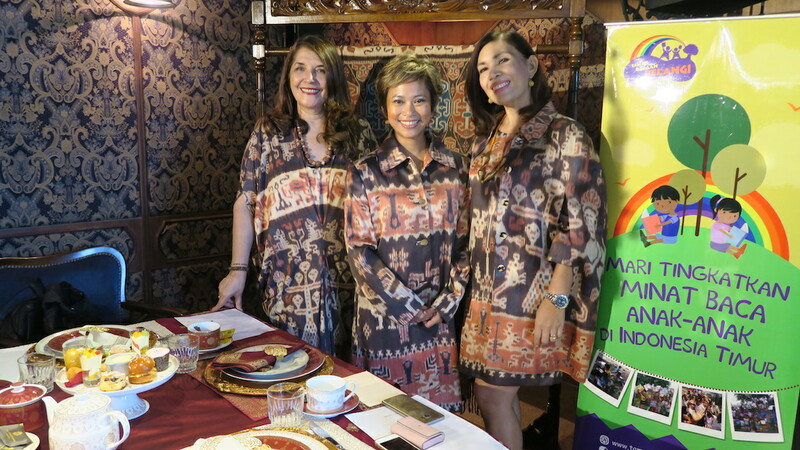 The Merdeka High Tea for Charity presents the “Merdeka High Tea”, which consists of some classic British sweets and scones combined with Nasi Kuning with Spicy & Sweet Tuna Arancini, Mini Burgers of pulled spicy chicken, Ayam Pop and Bubur Sum Sum with palm sugar and cashews. All of these are made by Chef Petty Elliott’s recipes! Wow. Merdeka High Tea for Charity. 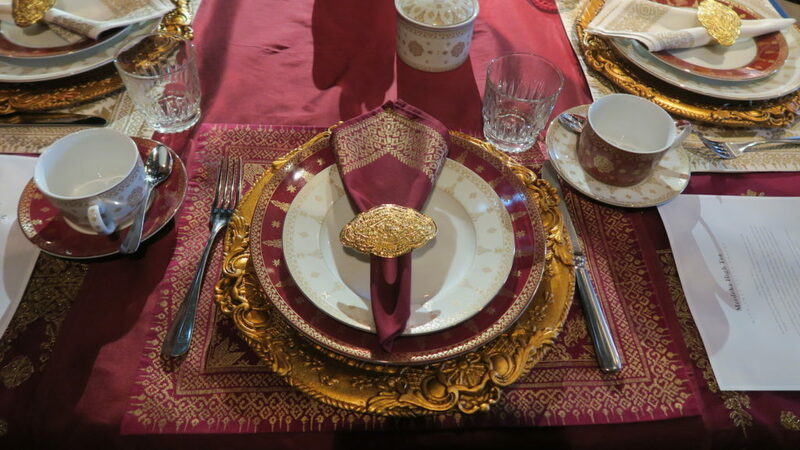 Gorgeous table setting by Ghea Panggabean. 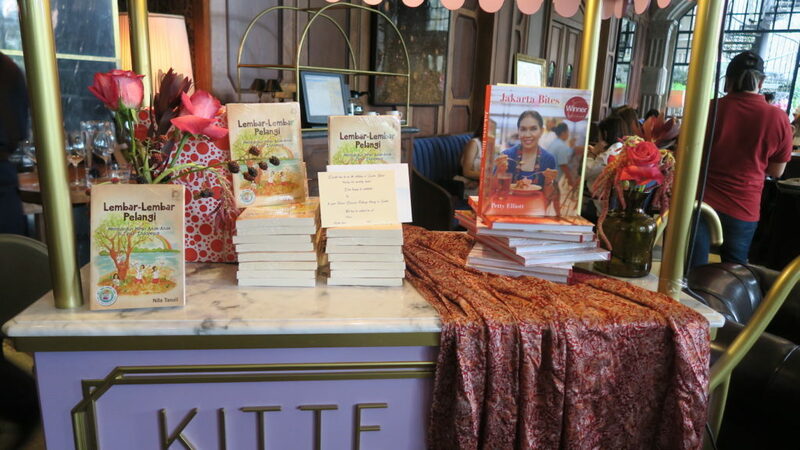 During the event, guests could also donate to Taman Bacaan Pelangi on the spot as well as purchase the “Lembar-Lembar Pelangi” book written by our Founder, Nila Tanzil, and the “Jakarta Bites” recipe book by Petty Elliott. 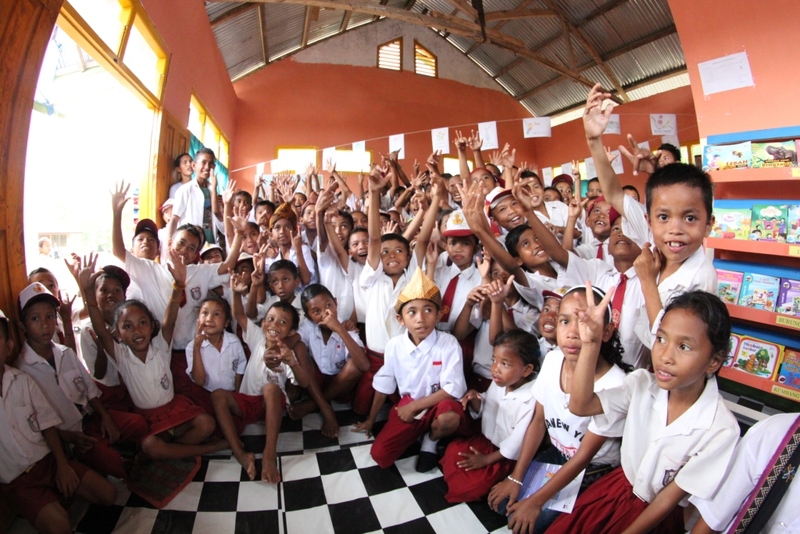 From this event, we raised Rp 6,050,000.- from the guests’ generosity. We thank everyone who came to the event! 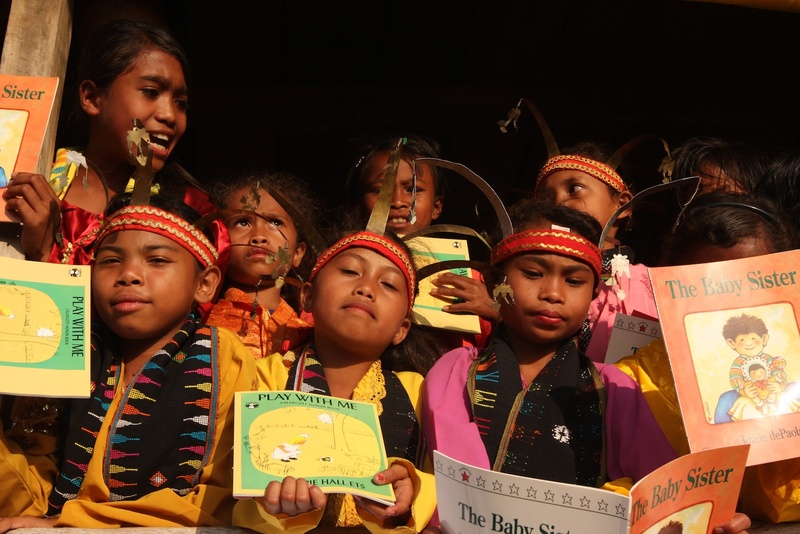 And we also thank Chef Petty Elliott, Ghea Panggabean, Amanda & Janna Soekasah, and last but not least… Sofia At The Gunawarman & the team for such a great support! It’s such a sweet and elegant event, full of great food and tea. 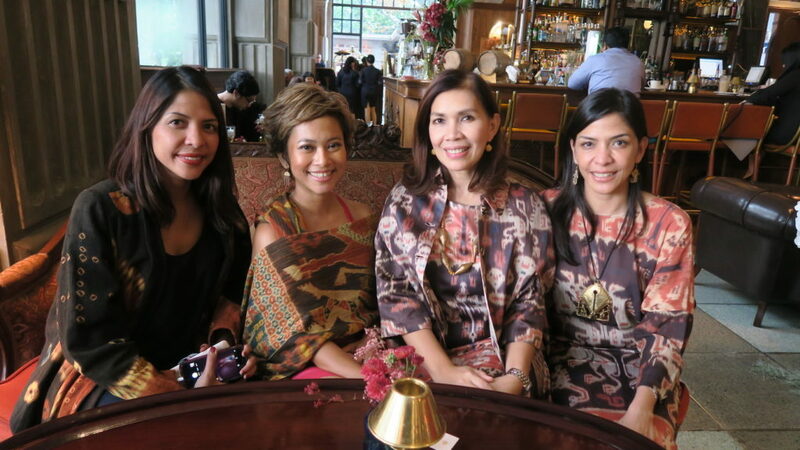 We love the Merdeka High Tea! Every single snack is soooo tasty! 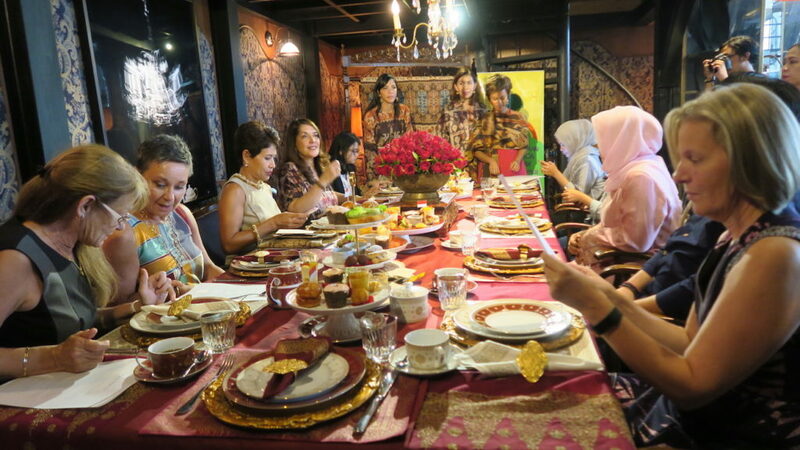 Guys, if you live in Jakarta, head your way to Sofia and order the Merdeka High Tea. Not only because they taste good, but also you’re contributing to our cause as some of the proceeds go to support Taman Bacaan Pelangi.